You should also be aware that there are cookies which are found in other companies’ internet tools which we are using to enhance the website. You will see ‘social buttons’ on our Website, which enable you to share or bookmark the web pages. _utmc These cookies are used to collect information about how visitors use our Website. We use the information to compile reports and to help us improve the Website. The cookies collect information in an anonymous form, including the number of visitors to the Website, where visitors have come to the Website from and the pages they visited. Expiry depends on the cookie in question. Tracks identifies where you’ve come from e.g. from a search engine or from another Website. To register as a user of such services we need to collect information such as, at a minimum, an email address and phone number. We may also ask some further questions so we can gain a clearer understanding of what you are interested in, in order to personalise the information we give you. You can update your personal information held and change your stated interests and whether or not you wish to receive correspondence from us. You may unsubscribe from the e-newsletter and other updates by emailing info@volunteersouthdublin.ie. All outgoing emails will also allow for you to unsubscribe. We may ask different questions for different services. We may also ask you to complete surveys that we use for research purposes, although you do not have to respond to them. Note: If you are aged 18 or under, please get your parent/guardian’s permission before you provide any personal information to us. Users 18 will be contacted and we will establish parental consent before we engage with you. To personalise the way our content is presented to you and to ensure that content from our Website is presented in the most effective manner for you and for your computer e.g. if you specify that you are interested in horse-riding breaks, we will prioritise horse-riding breaks in the information we show you when you are logged on. For administration reasons related to the service to which you have signed up (e.g. to provide you with information in relation to volunteering, or in response to a question that you ask us). To provide you with information about our services, activities or online content. You should only receive e-newsletters or similar correspondence and updates from volunteersouthdublin.ie. Where we wish to use your personal information in any other way, we will ensure that we notify you first. You will also be given the opportunity to withhold or withdraw your consent for the use of your personal information for purposes other than those listed in this document. We do our utmost to protect user privacy through the appropriate use of the security technology: we ensure that we have appropriate physical and technological security measures to protect your information; and we ensure that when we outsource any processes that the service provider has appropriate security measures. We share your data with organisations who are seeking volunteers (if you have registered to volunteer with us). We share your data with volunteers who are seeking to volunteer. We reserve the right to access and disclose personal data to comply with applicable laws and lawful government requests, to operate our systems properly and to protect both ourselves and our users.  The Data Controller for the Website and services provided through the Website is South Dublin County Volunteer Centre.